Designed for an avid cook and entertainer. 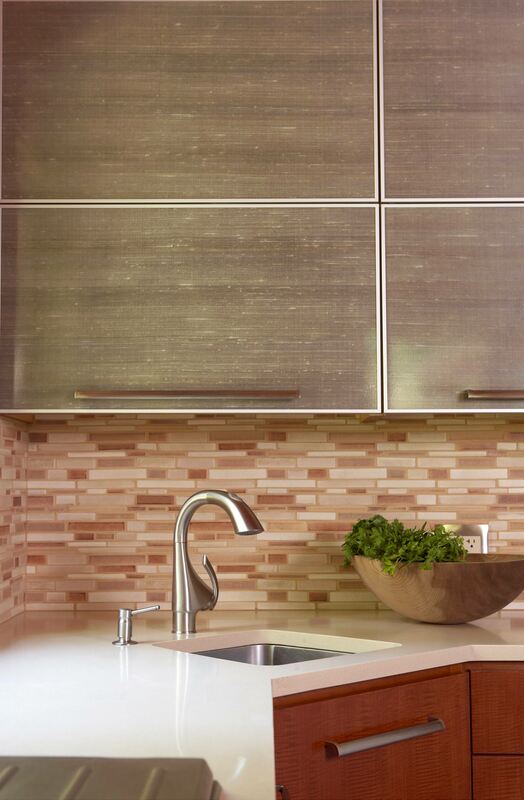 This kitchen has it all and more. 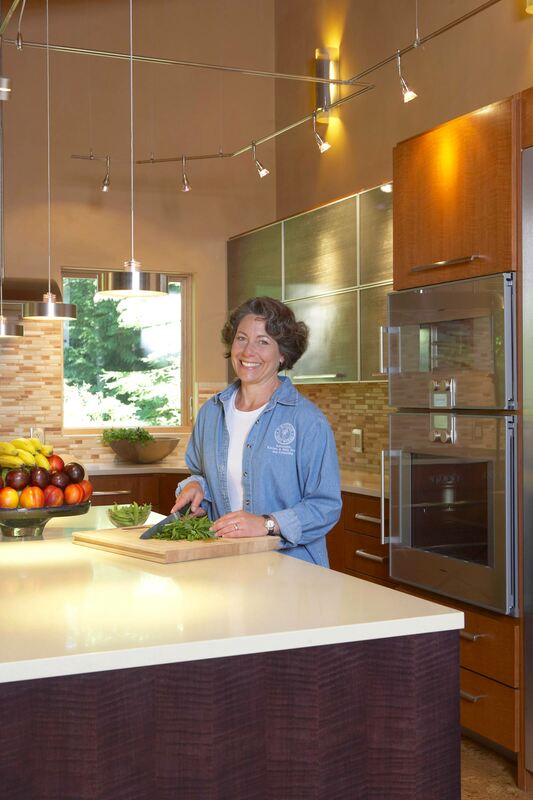 A lowered prep station with butcher block counter is an easy reach from the cooking surface and the prep sink. 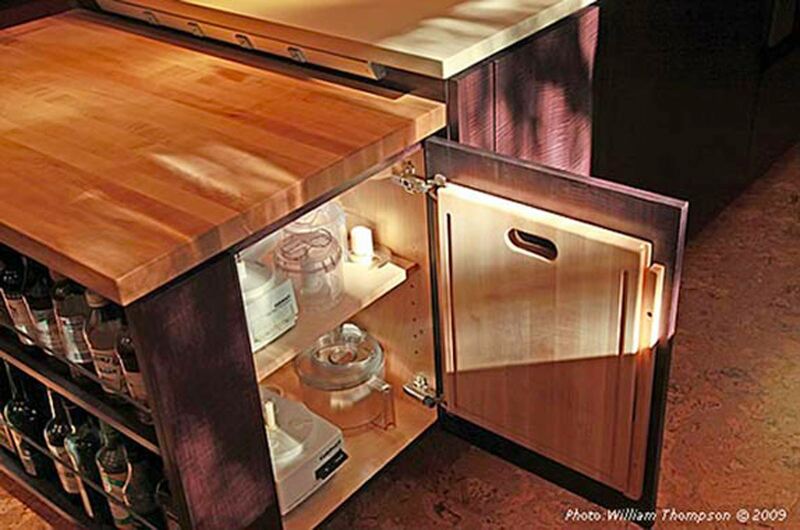 Below the butcher block is an accessible condiment shelf on the front side, a pop-up mixer on the left side and a storage cabinet with built-in cutting board on the right. Appliances include: Thermador refrigerator tower, Thermador freezer tower, Gaggenau steam oven, Gaggenau wall oven, Gaggenau warming drawer, Gaggeanau Vario two burner induction cooktop, two burner LP cooktop and electric grill/griddle, Zephyr exhaust hood, a slim line Miele dishwasher (on right side), a standard exposed control panel Miele dishwasher (left side) and a Dacor microwave drawer. Layered lighting comprised of under cabinet lights, wall sconces and dimmable cable and rail lights provide just the right lighting for any task. 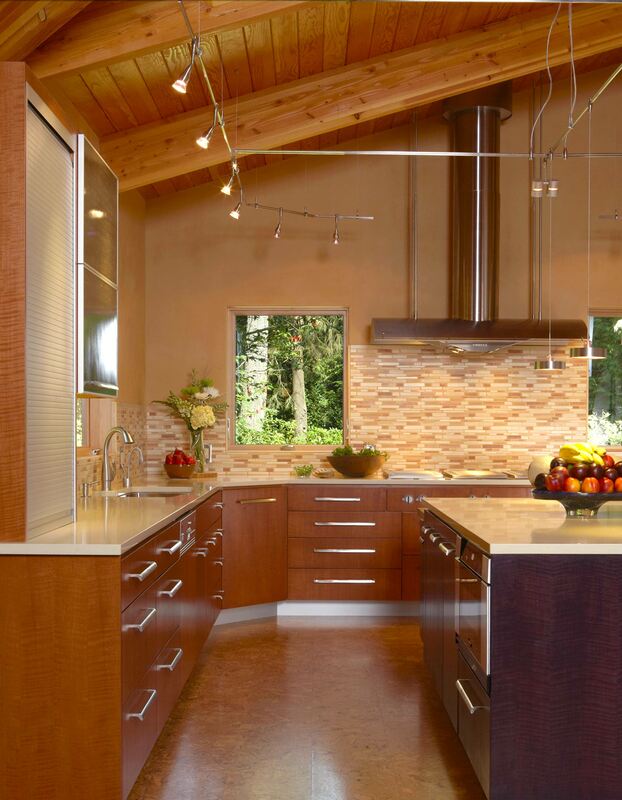 Figured anigre cabinetry and up lift aluminum doors with Lumicor panels, Jeffrey Court linear tiles, cork flooring, Caesarstone quartz countertops and clay wall finish round out this sustainably built contemporary kitchen.